Spirit Tracks has been out for just over two months, and it’s safe to say the game has been a wild success, at least in the United States. While not everyone likes the game, it did enough to convince many gamers that it is indeed worthy of being a Zelda title. Like every game there are always ideas and concepts that didn’t make the cut. Some of them because they were silly, others due to time constraints, and others for varying other reasons. Recently, some concept art was released to the net showing a few ideas that didn’t make it into the game. For curiosity’s sake, let’s take this one step further: What would Spirit Tracks have been like if developed for the Wii? First off, let’s assume that the graphic stylings would stick to the cel-shading format. If we attempt to imagine Spirit Tracks on the Wii with realistic graphics, we would most likely bore you with graphical comparisons. Nintendo already has made one console game in that graphical style, so it’s not out of question to think that Spirit Tracks, if on the Wii, would carry the same style. It also adds consistency to its current gaming arch (TWW – PH – ST). Now, what was left out of the game that may have made a difference? For one, the Tingle train. 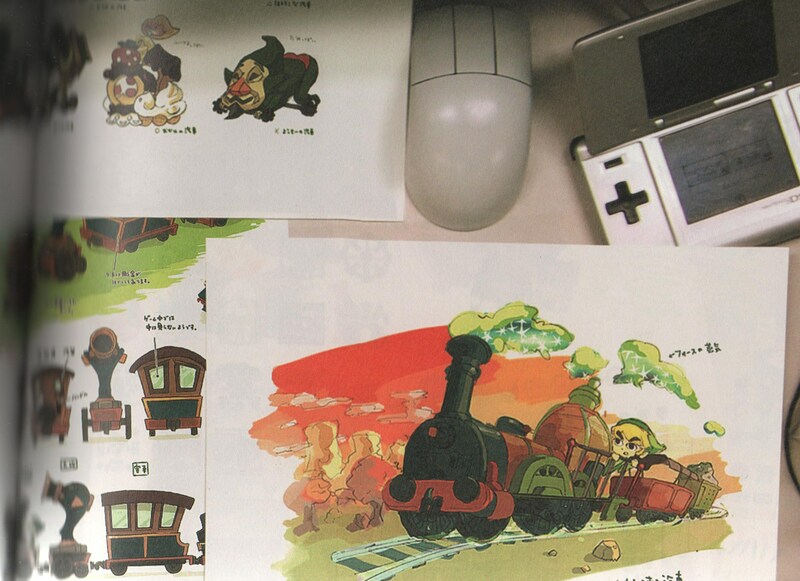 While it appears it was only in very early concept work (it was essentially just Tingle with some wheels), you could almost assure that the Tingle train would be present, which would also mark the return of Tingle himself. In the original game, he only makes a cameo appearance as a statue, but it appears they had other ideas at one point that didn’t make the cut. What would Tingle’s inclusion entail? Outside of some crazy, quirky, side quest that could very well be shaped after Tingle’s Love Balloon Trip, we would obviously see a return of the Tingle maps. Normally, in the past, maps could be bought as they were needed, implying a much bigger over world and possibly some more treasures to find. Not everyone likes Tingle, and in the states it’s safe to say he is almost on par with the anti-Christ. Even still, his inclusion almost would certainly guarantee a much larger over world. Speaking of the over world, one major aspect a Wii powered Spirit Tracks would most certainly have is the freedom of movement. While the train will be your quick transportation from station to station, the Wii would allow for you to also ride freely around the world. That is one of the few minor gripes about Spirit Tracks on the DS that the Wii would easily fix. Who doesn’t want to go exploring now and then? Really, the base of the game would honestly not change much. It would essentially be a 3D version of a 2.5D game with different controls more fitting to the Wii. When you start speculating about Spirit Tracks on the Wii, it’s really mostly a dream. Take anything you could have possibly wanted in Spirit Tracks and it could of happened on the Wii. I wanted more overworld bosses besides the guy in the tunnel: That is easily attainable on the Wii thanks to free exploration, just as an example. I think the game would have had a more epic feel, sort of on par with the only other console Toon Link… The Wind Waker. 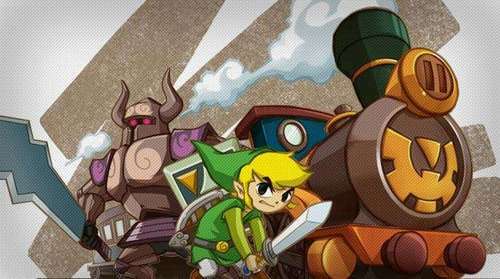 The train would have been more customizable, more side characters, and Zelda’s role could have been expanded on even more. Really, Spirit Tracks on the Wii is what we make of it. This article really has no point other than to get the cogs turning. If Spirit Tracks was on the Wii, what do you think it would be like? What is different about it as opposed to the DS version?